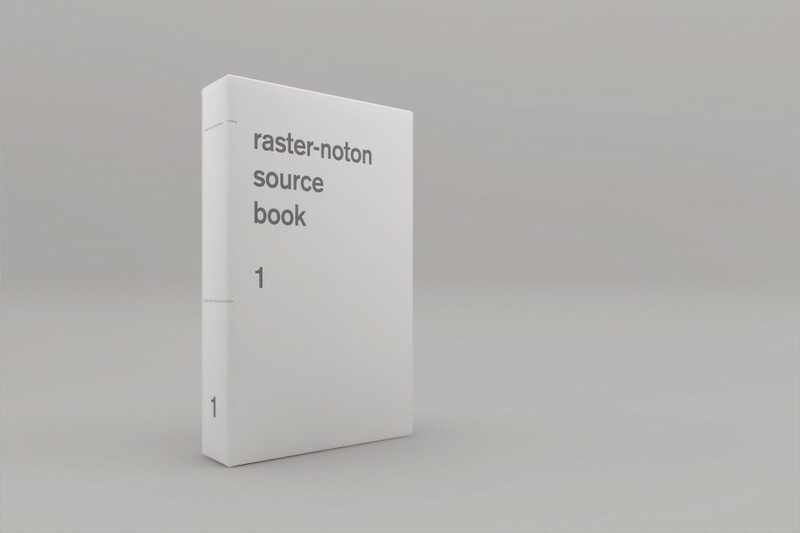 the publication »source book 1« represents the beginning of a comprehensive and authorized review of the past 20 years of the label raster-noton. a short introductory preface by olaf bender is followed by a keynote interview conducted by berlin publicist max dax that provides an insight into the identity and philosophy of the label heads. the main part of this first »source book« comprises the extensive catalog of all releases and series published between 1996 and 2016. tabular listings of various formats and products that were distributed or curated by raster-noton complete the catalog. a further exclusive part of the publication is the accompanying »archiv 4« CD, which is only available in connection with the book. 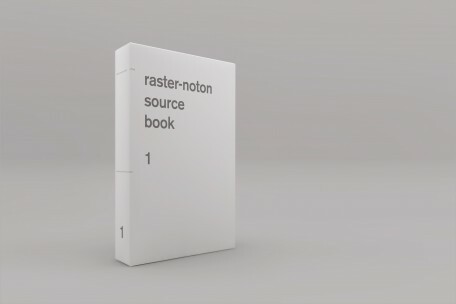 raster-noton‘s »archiv« series was first introduced in december 2003 as a supplement to »the wire« magazine and has since been continued in loose sequence with different artists related to the label. following the idea of the label which defines itself as a platform for its artists, the releases in the catalog part are not presented according to their format, invested effort or meaning, but sorted according to their catalog number and presented on exactly one double page, whereas some series were summarized. as a continuation of this archival revision, further »source books« are planned that will document artist profiles, installations, composition techniques and sources of inspiration. the »source book 1« is limited to 1.000 copies. its modular design allows to remove, exchange or add pages, which makes it possible to update the content in due time. a cardboard slipcase covers the 400-page, 3-kilo book and guarantees a safe stand in the bookshelf.